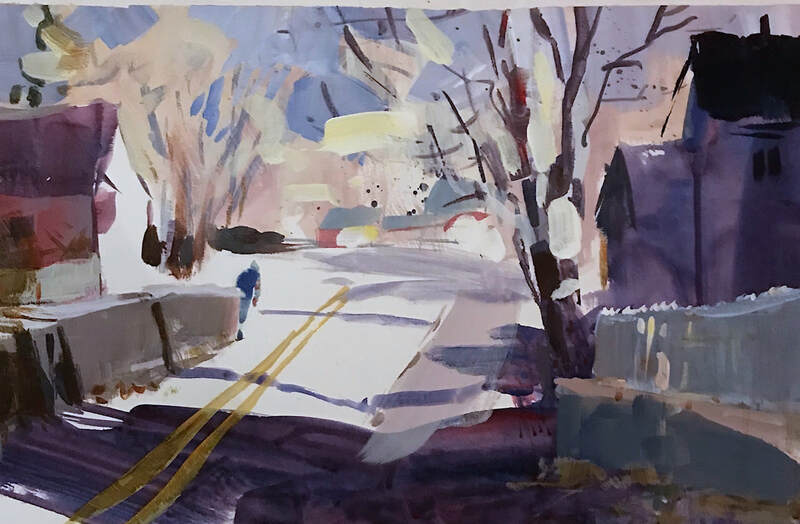 Route 7, South Main St.
A Month Long Plein Air Celebration! 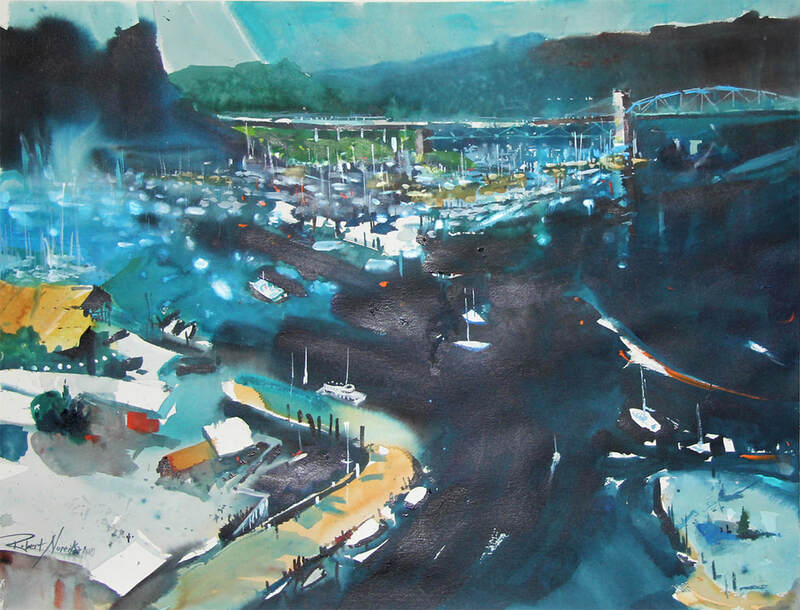 Tea and Pastry Receptions 2:00 - 5 p.m.
Robert will be showing techniques in fluid acrylics and demonstration how to simplify a busy harbor scene. 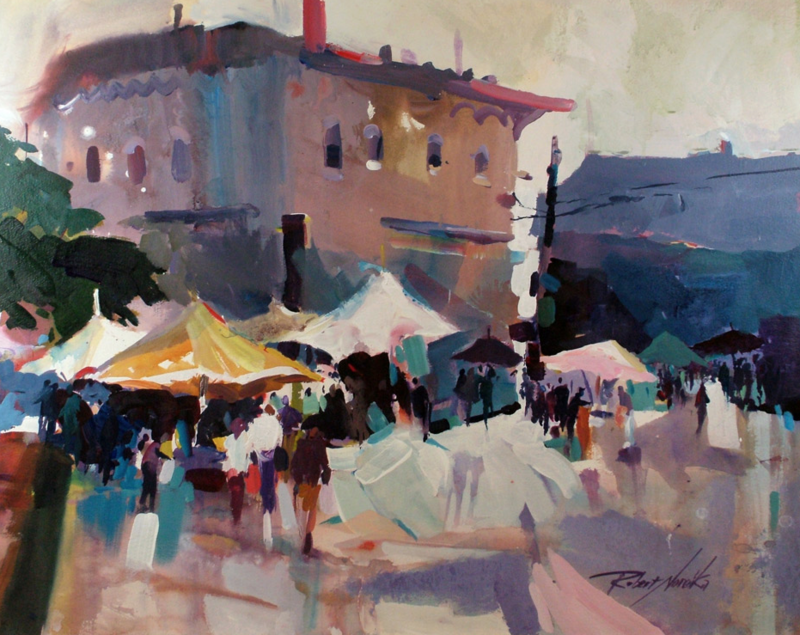 Robert will be displaying over 40 of his most recent paintings in watercolor, oils and acrylics. 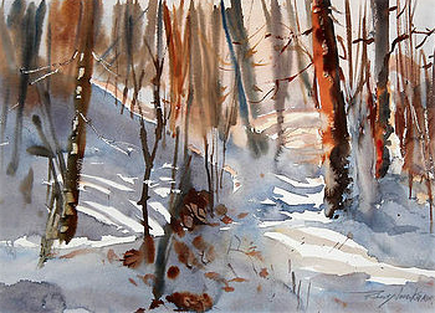 This solo show will feature many of familiar New England scenes. 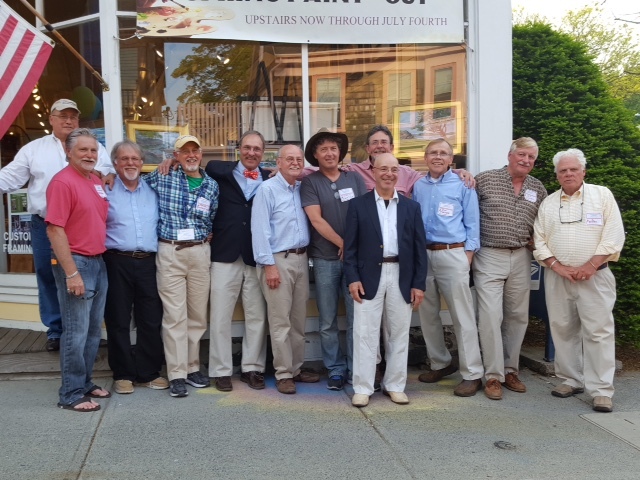 From Coastal Maine to the shores and inland waterways of Connecticut. 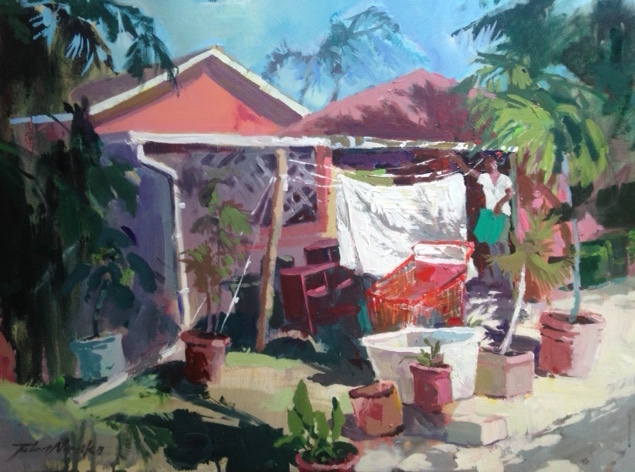 Local street scenes, gardens and outdoor markets. 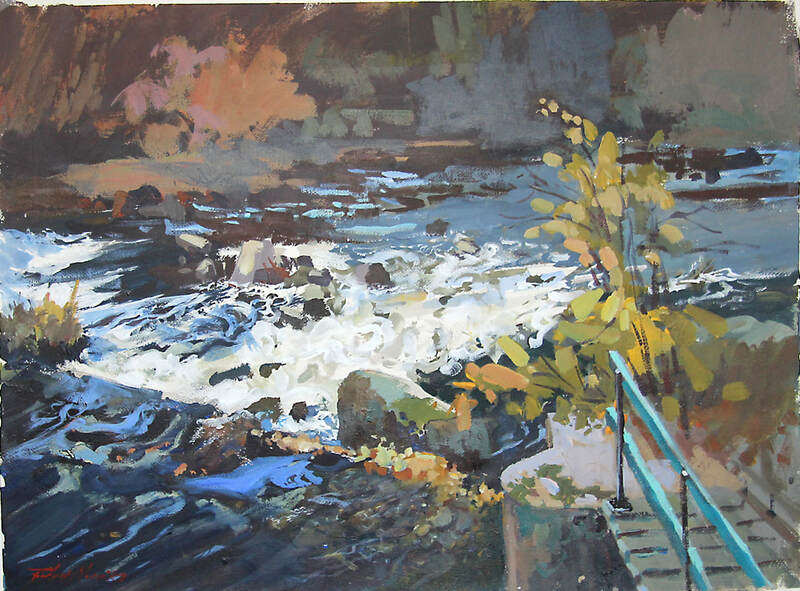 Robert Noreika is returning this fall with instruction in his signature "fluid" painting method. 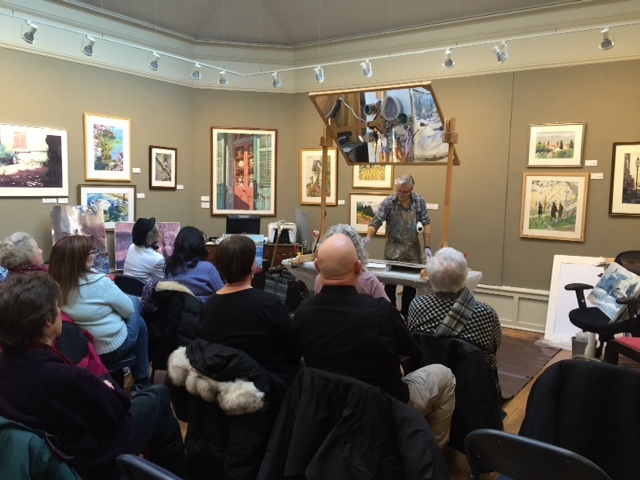 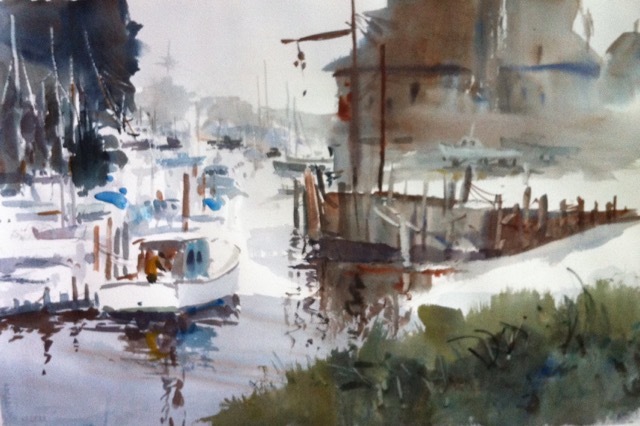 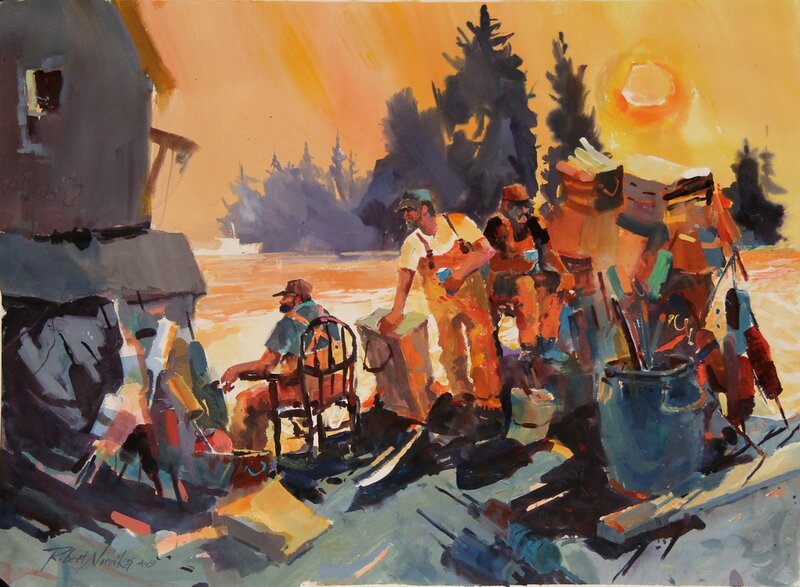 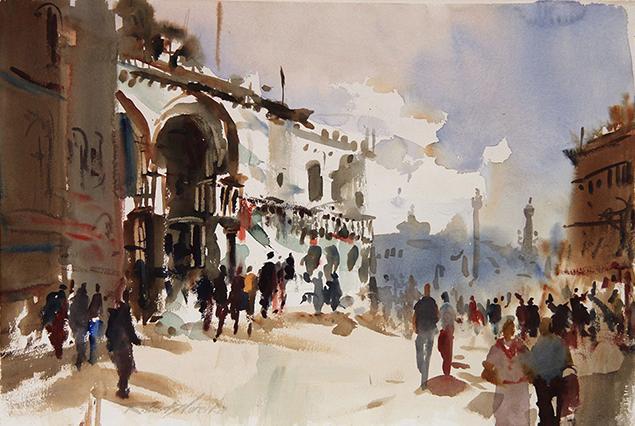 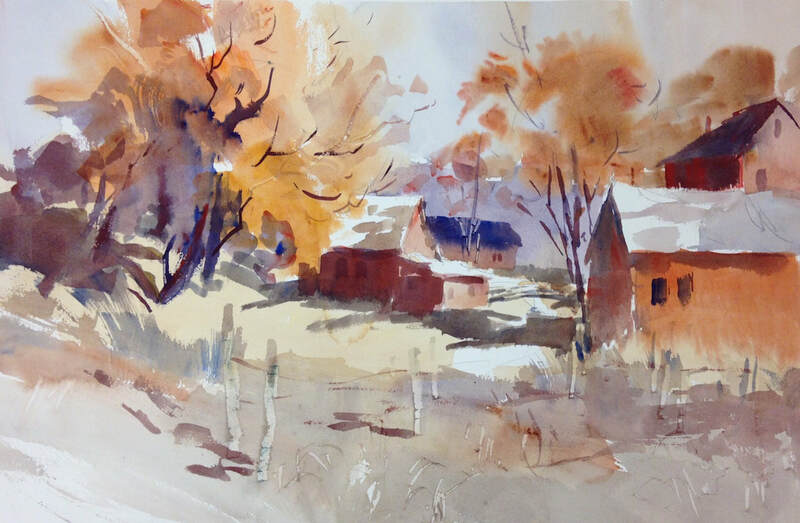 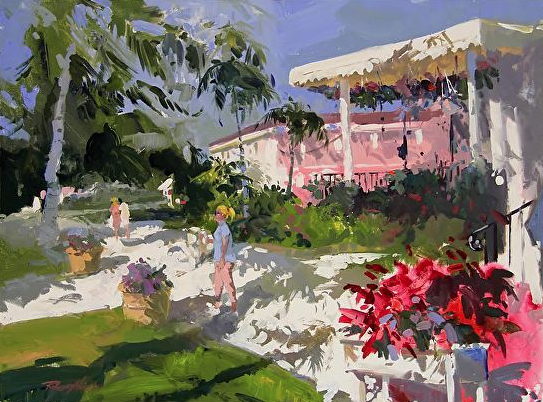 Students are invited to work in either watercolor or acrylic, and will experience Robert's relaxed teaching approach, which has been enjoyed by many students and professional artists through the years. 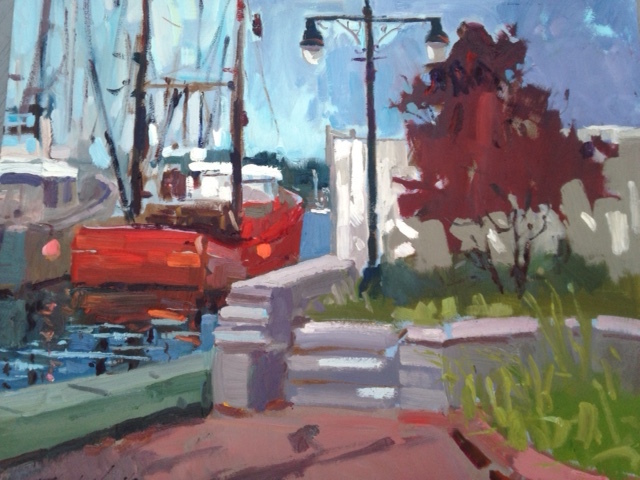 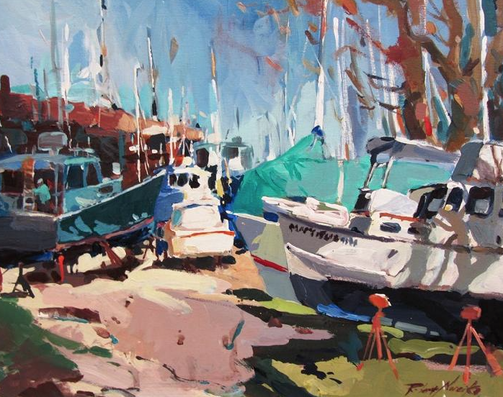 For the 20th year in a row, Maritime Gallery artists will be on the grounds of Mystic Seaport with their French easels painting the beauty of the Museum and the shifting light along the Mystic River. 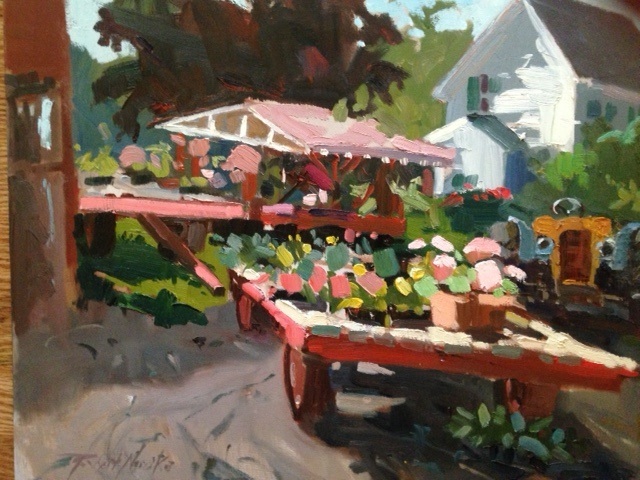 Come and watch your favorite artist paint en plein air beginning Tuesday, June 14 and continuing through Saturday, June 18. 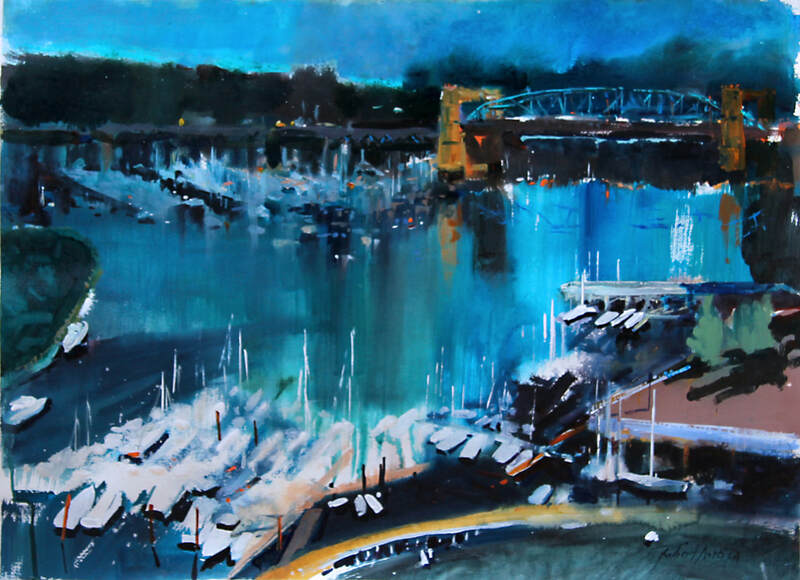 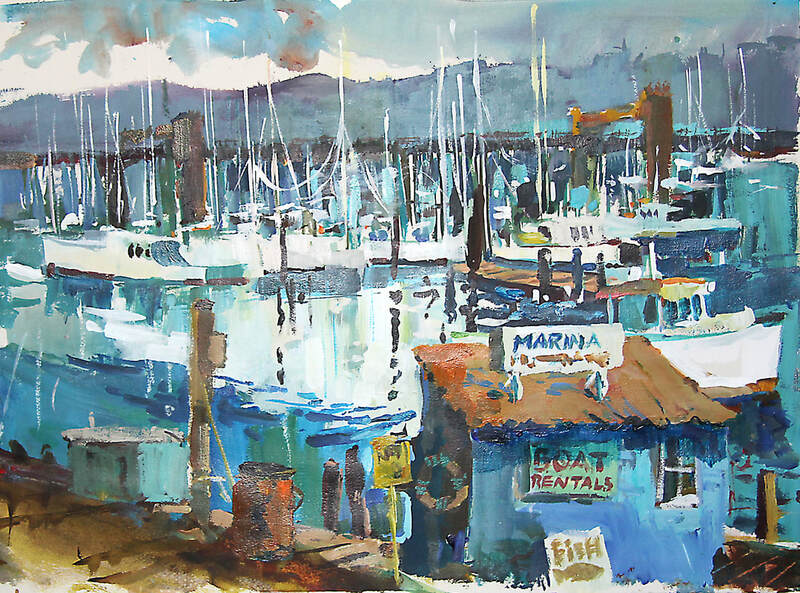 A public opening reception will be hosted at the Maritime Gallery on Saturday, June 18 from 6-7:30 p.m. Meet the artists, enjoy refreshments, and purchase work fresh from the easels. 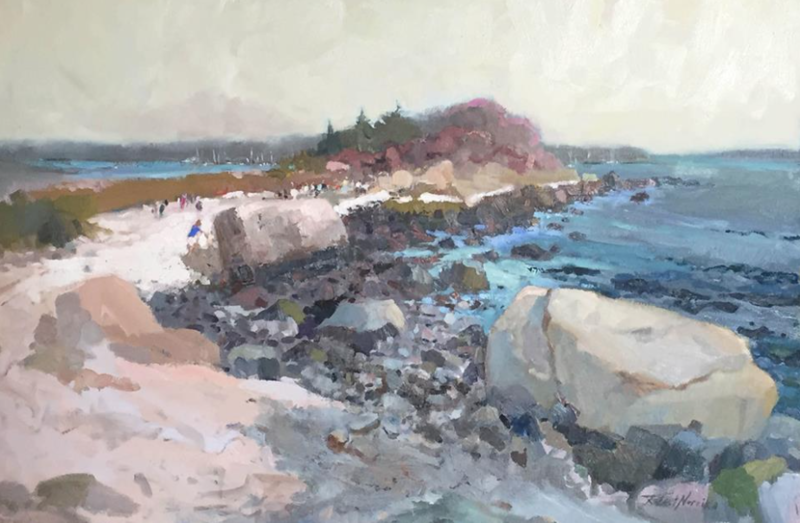 This regional exhibit is open to artists from CT, New England and New York. 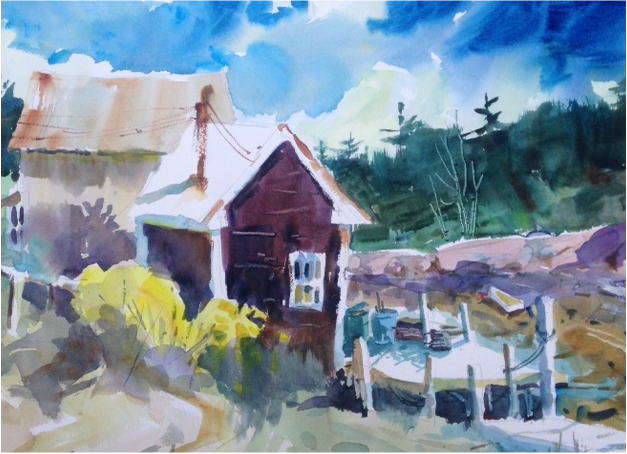 CT+ 6 will be on exhibit in both the Clubhouse and the Saltbox Gallery from April 24 to June 5th. 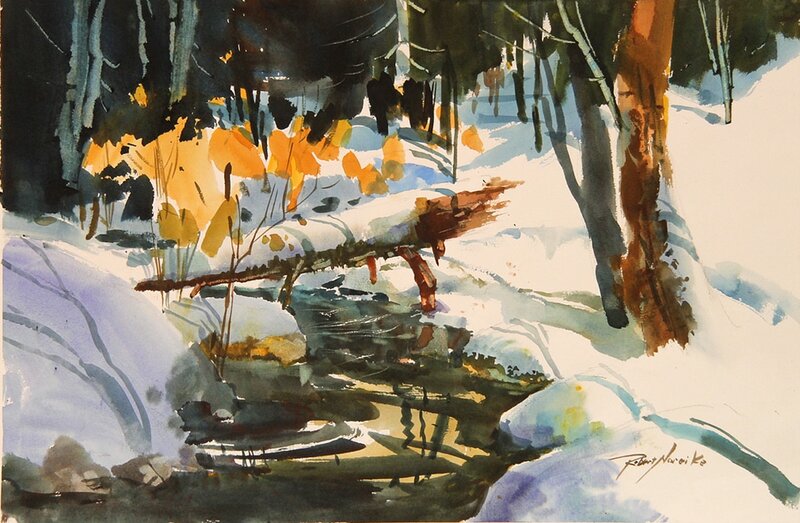 Gallery hours are Thursday - Sunday from 1-4, or by appointment with the Director. 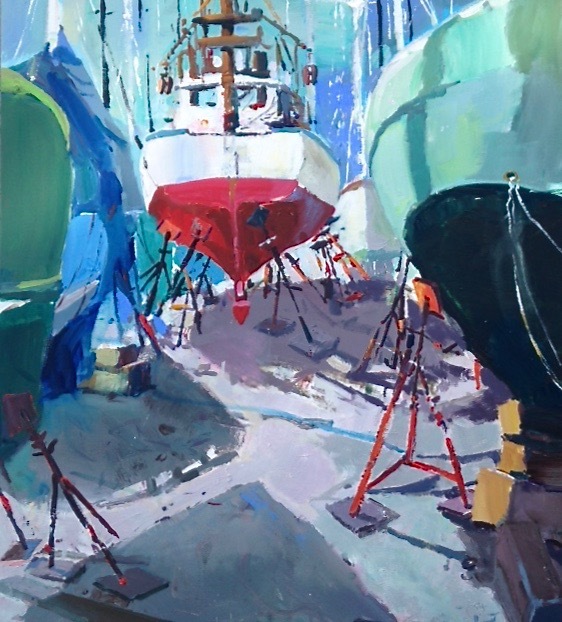 This year the Maritime Gallery will present a new exhibition, New Horizons in Modern Maritime Art, to start its 2016 season. This show will inject a new twist to a similar theme by focusing on color and form in depictions of maritime objects. 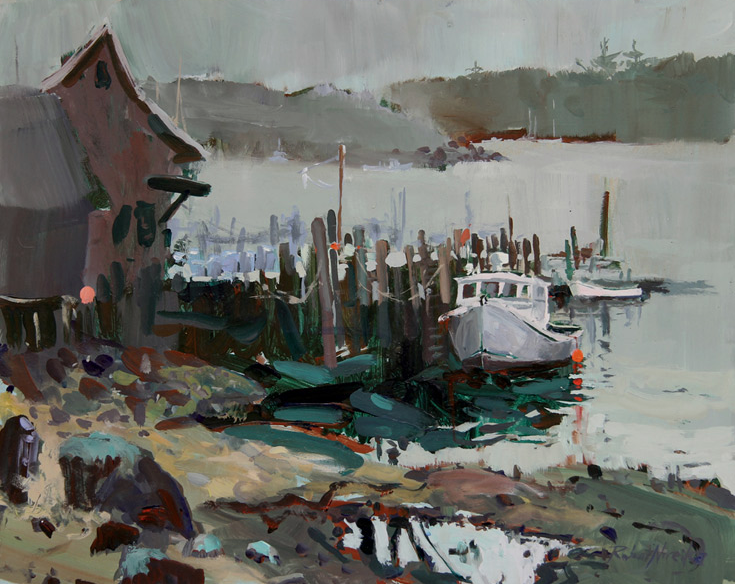 More than 50 invited contemporary masters will capture the timeless beauty of the sea in paintings, drawings, and sculpture. 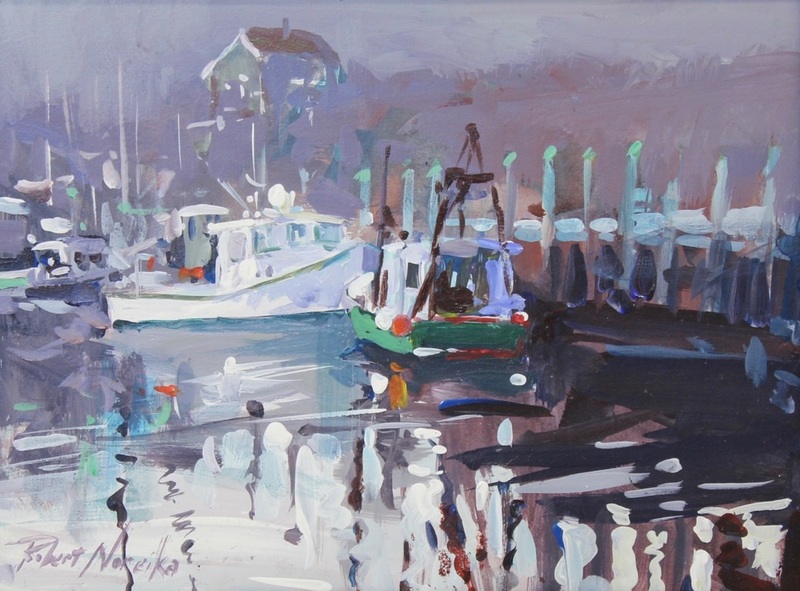 Bob will be demonstration his unique and spontaneous fluid acrylic techniques during this two hour demonstration. 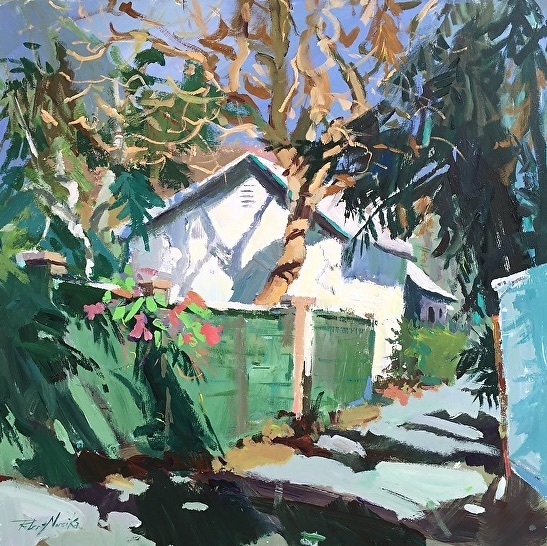 This is offered during the 2016 Members Show - January 30-February 27, 2016.